Now that we are on winter intersession, I wanted to take a moment to share some of our recent math work! In an earlier post, I wrote about the amazing app, Toontastic, and how I hoped to use it in my math class. So far it's been going well! 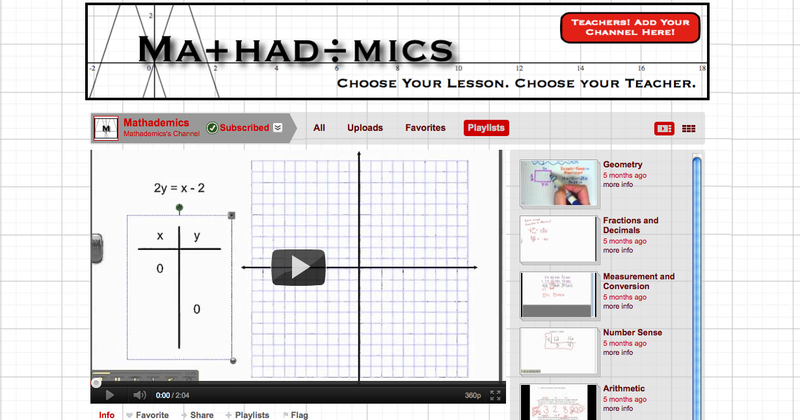 Students are creating math stories and problems to share with one another as well as short math instructional videos. The students have loved "toon-ing" in to math in this way. They have begun to link math to real world situations and also have begun to teach each other through video. 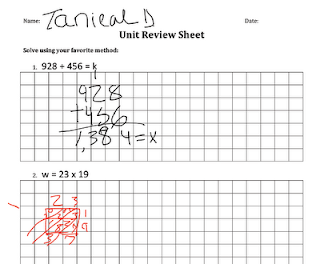 Here is an example of a student-created review lesson about equivalent fractions. 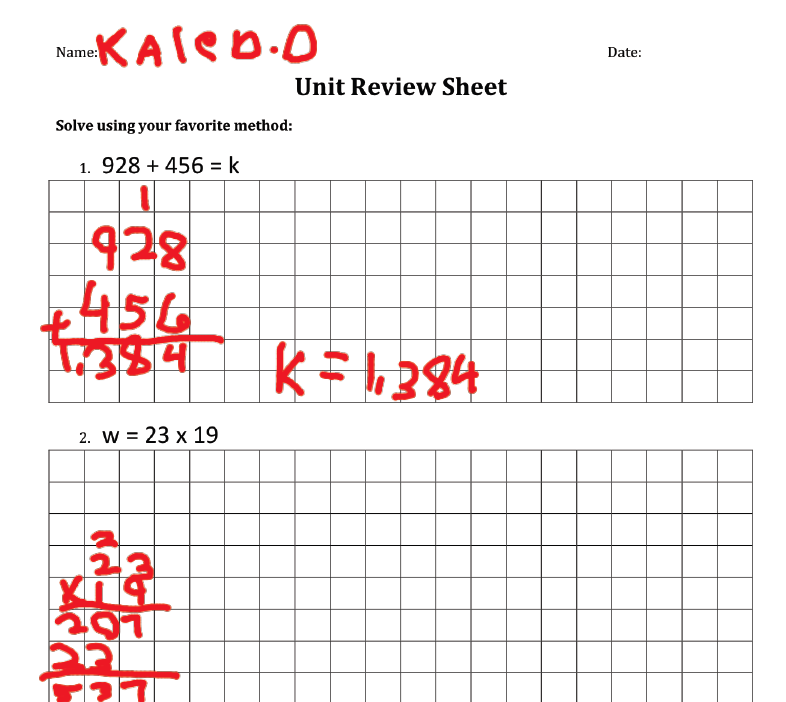 Additionally, we have continued to use the screencasting whiteboard app, ShowMe, to share our math metacognition and practice problem solving skills. Here are a few newer examples of student work on this app as well. Note that the sound quality is still hit or miss. The students have been recording this without external microphones (i.e., only using the iPad 2's built-in mic). They are in a room of 33 4th/5th graders simultaneously recording ShowMe videos, Toontastic movies, discussing work in math problem solving centers and working in support groups with the teacher. Lots of ambient noise. I'd hoped to win a grant to purchase earbud/mic sets for each student, but unfortunately was not accepted. So for the time being, it looks like we'll have to make do. However, I think that though the quality of sound is not perfect, the student work and thinking comes across - and that's what really counts. Jordyne's ShowMe: This student is sharing her knowledge of finding fractions of a set. 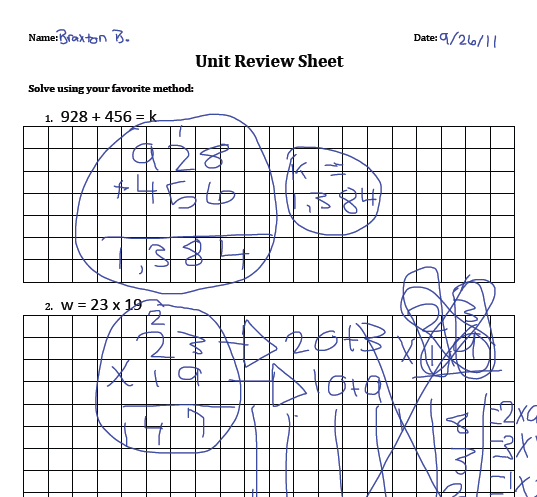 Note her understanding of the relationship between multiplication and division and her use of math vocabulary. This was helpful for me to know as I worked with her. 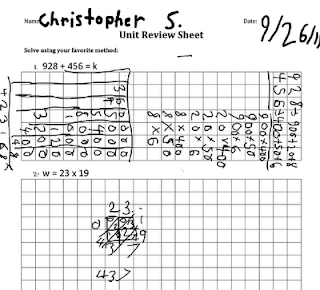 Mavric's ShowMe: This student is sharing his synthesis of what we did in class last week. 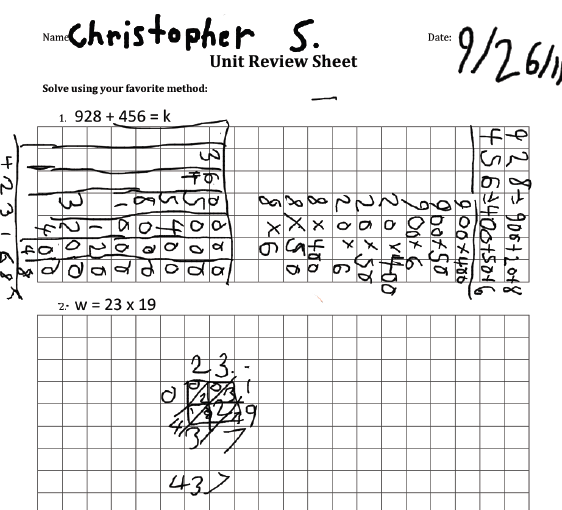 After watching his ShowMe, I worked with him on making clear the roles of numerator and denominator and discussed the WHY behind converting fractions-decimals-percents. We also worked on precise math language. 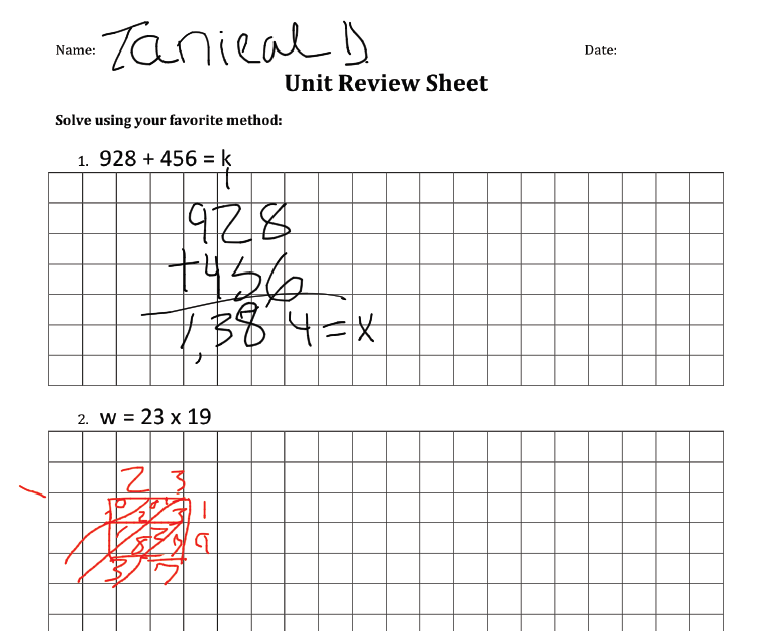 Nathaniel's ShowMe: This student was working on equivalent fractions. During our math meeting, we discussed the importance of math symbols (at one point he uses an addition symbol where he is multiplying). After reading this incredibly helpful guide by fellow Chicago iPadder Erik Unterschuetz, I decided to update my classroom's 32 iPads to iOS5. I already had installed Lion OSX onto my MacBook, so I figured that by using Erik's tips I'd be home free. So I smiled, took a deep breath and began the update. Over three hours later, I wasn't smiling anymore. It wasn't a lack of support in Erik's guide. In fact, I'm positive that his step-by-step instructions shaved at least an hour off of the update time. So what was it? - The restore to each iPad: I had over 10 movies to sync back to each device (thanks, flipped classroom). If you don't have that much media, it won't take as long for you. - I had to manually re-enter credentials to the wireless network on each iPad. I don't know if this is a fun quirk of our wireless network of if this will be the case for everyone. - I had to name each iPad with a unique 15-character CPS-centric naming convention. Perhaps your district won't expect this from you. - As I was waiting on back ups, restores, downloads, etc - I tried to multi-task and do other things... and inevitably missed prompts to move on. I think if I had the patience to sit and do nothing else but update, it may have taken a little less time... perhaps a little over 2.5 hours instead of a little over 3.5. After the update... was it worth it? Decide for yourself. Students can swipe with four fingers to change apps instead of double clicking to use more than one app at a time. They love this. No more black box with a number in it to signify the number of windows open. Now there are tabs just like your laptop or desktop internet browser. Also very helpful when they are navigating between instructions on Edmodo and a Study Island assignment, etc. There is an entire site on apple.com dedicated to this. Check it out if you haven't already! Hypothetically I am supposed to now be able to sync the iPads wirelessly - no sync cart needed. I've yet to see this... It may be that my iPads aren't all logged in to my Apple ID yet... it took so long to sync them I gave up trying to enter it into each one manually. I'll try to do this over break and see if it works. 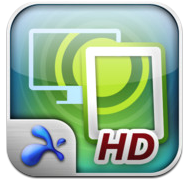 iOS5 + $99 Apple TV = wireless projection of everything you do on an iPad to a projector or TV screen. Everything. Whereas with the iPad to VGA adapter, not everything happening on your iPad screen appears in the projection (for example in PaperPort Notes, it doesn't show the annotation buttons so when I try to teach my kids what to tap to change font size, I have to use my iPevo or another doc cam), an Apple TV projects everything. I have seen this in action at the Apple office, but our school's wireless network won't play nice with the Apple TV. We're working on getting this fixed, but hopefully I can test this out soon! 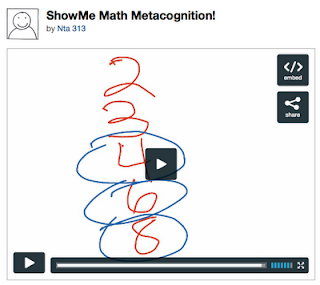 Imagine: A student is working on a ShowMe and I call on him to share it - with a tap of his finger his iPad is magically appearing on the projector screen. I told the students about this capability and they literally clapped. For more info, or to see these features in action, check out this video on the Apple site. So was the update worth it? I think so... eventually it had to happen. 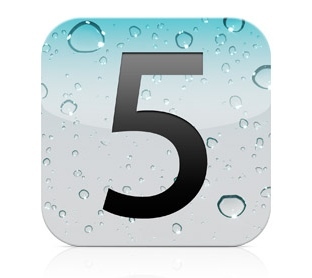 Some apps no longer run well on iOS4 and demand the iOS5 update. The Airplay wireless mirroring offers a myriad of opportunities... 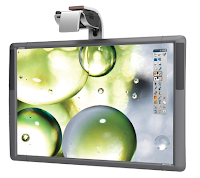 i.e., you could replace an interactive whiteboard for less than $600 (1 iPad + Apple TV). The students also seem to notice the difference. I teach the students what I'm doing as I'm doing it. So they know that I spent all that time doing the update. They know what an iOS means and what it stands for. They know the difference between iOS4 and iOS5. I joke that my 4th and 5th graders could probably get summer jobs at the Apple Store's Genius Bar. As my kids continue to use this new operating system, I'm sure more features will come to light and I'll be happy to share them here. Have you noticed anything amazing about this new iOS in your classroom? For those of you who have been waiting for the Noterize (PDF annotation app I recently blogged about) update... it's here! And free! So exciting. Get 'em while they're hot! On Friday a colleague and I went to the Microsoft Training Center to learn more about how we could use the XBox Kinect in the classroom. I'm not going to lie; I was extremely skeptical. 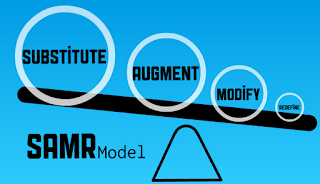 In considering this tech against my recent obsession with the SAMR innovation continuum, I felt that the Kinect was barely on the second level (augmentation). It seemed little more than an elaborate gimmick to engage kids, further limited by the fact that it could truly only engage 1-2 students at a time. As we participated in this day-long training, I began to feel that my doubts were justified. The titles offered - Kinect Sports, Body and Brain Connection, Once Upon a Monster and the upcoming National Geographic game - were all interesting but seemed to lack true educational substance. The Body and Brain Connection, for example, has some good algebraic concepts involved, but certain levels could allow a child to guess consistently and attain a high score. 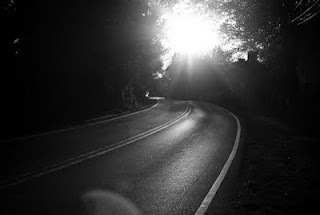 It wasn't until the afternoon that I began to change my thinking. 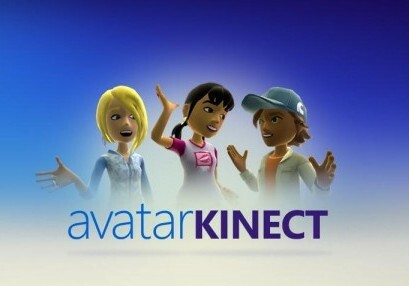 The presenter explained how counselors were using the XBox Live's Avatar Kinect to allow students to discuss their issues anonymously. Think of a confessional in which you speak through a curtain - however this curtain is the XBox Live environment and you get the added benefit of an avatar that translates your facial emotive moves, body movement, etc. The wheels began to turn and I started chatting with a colleague from another school about integrating this concept into our Social Emotional Learning periods such as Morning Meeting. What if my class submitted issues from within our classroom community, and the students from my friend's school discussed them - and vice versa. Then on a designated day each week, we could meet up in our Avatar Kinect environment - protected by anonymity - to offer possible responses to these classroom community issues. 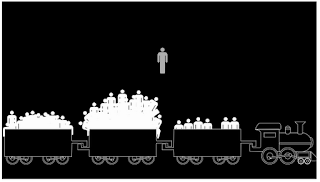 We could further the concept of "walking in someone else's shoes" by having students appear as avatars contrary to their body type, race or gender. I see my students also utilizing their iPad technology to blog about their reactions, participate in back channel discussion about what they are observing or participating in and sharing audio/visual artifacts with their peers in the XBox Live Avatar Kinect. 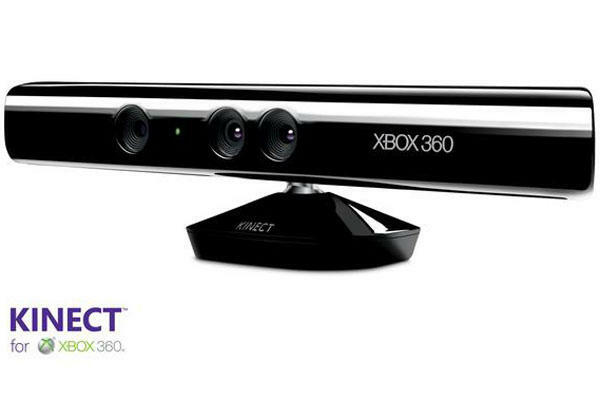 Another interesting thought is the taking advantage of Kinect SDK (software development kit) to build apps better suited for the educational environment. 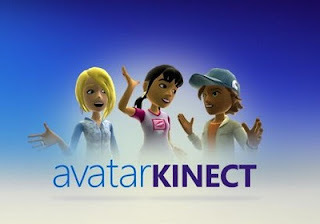 Johnny Kissko, an ADE friend and tech whiz, has created the website Kinect Education to promote the creation and sharing of Kinect for education apps. I hope to learn more about this but know I have a ton to learn about programming before I could dream to do this myself. I can, however, dream of apps that could be made: A dynamic geometry app in which my students can unfold polyhedrons into their nets, then refold then and explore volume, surface area and geometric features (edges, vertices, etc.). A celestial exploration in which students are walking across the surface of Mars, floating through the asteroid belt, digging through the chemistry of the sun. A number sense activity where students create arrays and divide quantities into groups - using their bodies. All in all, do I think that the Kinect games themselves will provide much more than engagement and incentive for my students? Not really. However do I think that the Kinect sensor technology offers some interesting Redefinition opportunities for the classroom? Why yes, I do. Let the experimentation begin. Chicago Area Teachers: Great Professional Learning Opportunity! Calling all Chicago Area Teachers: Are you looking to to be inspired, encouraged or enriched? Need some fuel to re-energize your classroom and practice? Here is a great professional learning opportunity for you! I'm proud to be speaking about technology at this event (doing a 15-minute Keynote TEDTalk in the opening session), and am excited to see what other workshops have to offer! Hope to see you there! Today I had several students try out Explain Everything, Noterize and one continue with neu.Annotate PDF. They used these apps to complete their unit review practice at their seats. 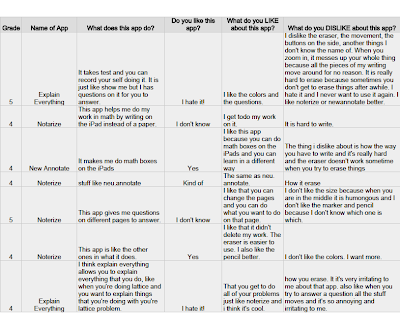 Below are examples of their work and reactions (as well as my final determination on which app to use). Unfortunately there are no screenshots of this app in use because if the app window closes accidentally (which happened to BOTH students using it), you LOSE ALL OF YOUR WORK! They were so upset about this, but being resilient scholars, they were both happy to start over with a new app. "I like that you can change the pages and you can do what you want to do on that page." "I like the colors and the questions." "[I like] That you get to do all of your problems just like noterize and i think it's cool." 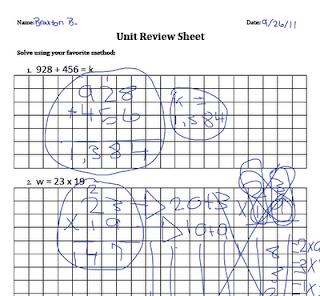 "I like this app because you can do math boxes on the iPads and you can learn in a different way." Based on the students reactions and performance on the apps, I think I will use Noterize for the foreseeable future. While the screencasting function in Explain Everything is very cool, the lack of functionality for my students makes it impractical to use. I also tried PDF-notes 2.0.0, but again - the functionality (and ads) once again leave neu.Annotate in 2nd place and Noterize in 1st. Thanks again to Steph Meewes for showing me that Noterize is free! Earlier this year I wrote about my struggle with the Bretford PowerSync Cart. Well, my friend Bruce Ahlborn shared this incredibly helpful resource for those who are trying to wrangle a cart of their own (from Julene Reed, Director of Academic Technology at St. George’s Independent School). Many of her syncing suggestions are the same as those shared in my previous post, however she offers a plethora of other helpful tips -- such as disabling automatic updates (and thereby halting 30 annoying popup windows when you connect your cart). That tip alone made my day - and this document is overflowing with other amazing tips! Thanks to Julene for creating this awesome document and Bruce for sharing it with me! One tip I would add: If you don't need the iPads to be individualized (i.e., they can have identical images and identical content), then don't rename them after the backup (as the document linked above suggests). I left all of mine named "NTA313"; now when I buy a new set of apps through VPP or want to upload a video to all, I just plug them in and they all sync simultaneously without me having to do anything. Just be sure to select "sync new apps automatically" on the apps window and "sync 5 newest movies" on the movies window. 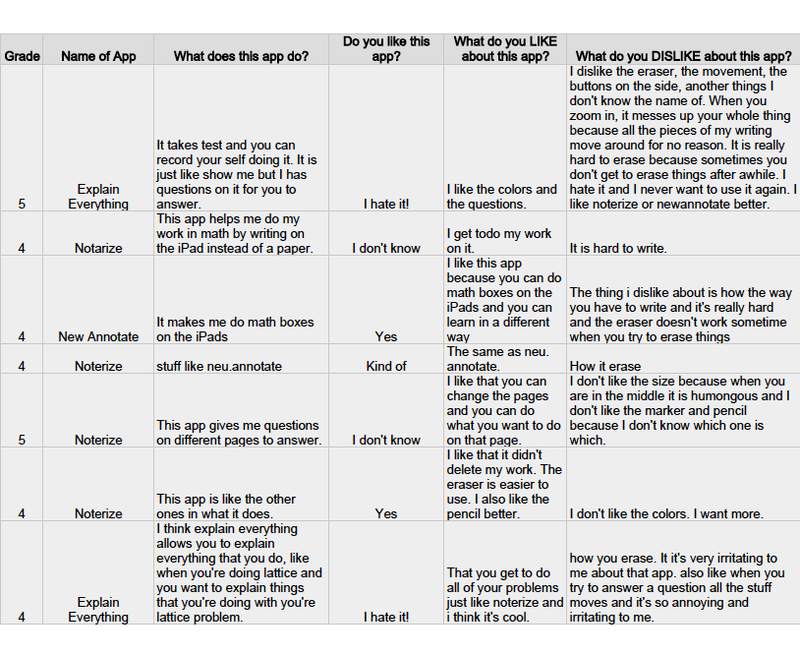 - If you want to see what recent apps your students were using (to make sure they were on task, etc.) - simply double click on the home button (the only button on the face of the iPad) and a dock will appear. This dock lists the apps that were opened in chronological order (with the most recent being the one farthest to the left). - If your student is trying to type in a Google form and the keyboard keeps disappearing this means that there are too many windows open. Tap on the icon on the top left of the screen that looks like a box with a number inside of it. This will show you all running Safari windows. Close all of the unneeded windows and you'll be able to type again. - If your students are accidentally deleting apps: Go to the settings, tap "General", then tap "Restrictions". Enable Restrictions and toggle "Deleting Apps" to the off position. - If you want to disable built-in iPad apps (i.e., Safari, YouTube, Camera, FaceTime, iTunes) that can't be deleted from the normal home screen: Go to the settings, tap "General", then tap "Restrictions". Enable Restrictions and toggle the unwanted apps to the off position. 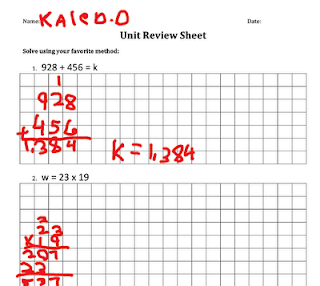 As we continue to explore how to increase students' math metacognition (see previous post on this topic), I am finding my iPads more and more invaluable. 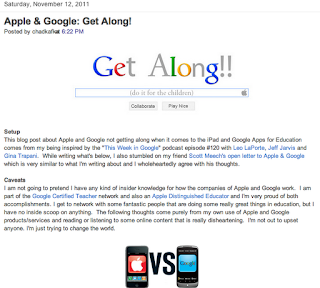 I've been working with two similar apps shared with me by the great folks at the ADE Institute: ScreenChomp and ShowMe. I started with ScreenChomp as I preferred its interface for my 4th and 5th graders, but have been recently learning towards ShowMe as it has a larger workspace. Both apps offer the same basic audio and screen-recording features. I've been folding a routine into my differentiated math group time in which students receive a real-world math problem and solve it orally and visually utilizing one of these apps. They then post their response to my page on the app's website (set to private) and I am able to assess them at a later time as well as send their responses to classmates to view, evaluate and respond. Here is an example of one student's thinking. I love how she starts, backtracks, gets a bit confused, regains her thinking path and perseveres through the problem. This authentic think-aloud paired with a visual workspace gave me an amazing assessment opportunity; it allowed me to accompany this young lady on her mathematical problem solving process and understand what she does and does not understand. Now consider the fact that I have 7 such videos from this period - created simultaneously while I was pulling differentiated math groups. There is almost no way I could have sat in that single 60-minute period and listened patiently to each these students think through this problem. 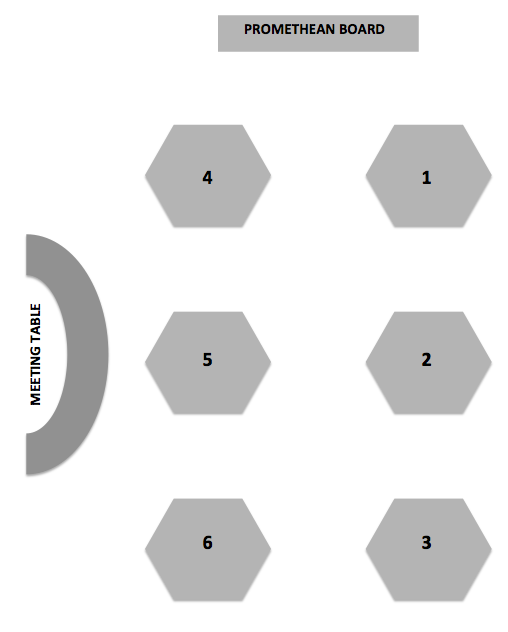 Yet now I can listen and re-listen to assess their thinking - then archive that thinking to track their problem solving progress throughout the year. My next step is to tie-in Edmodo. 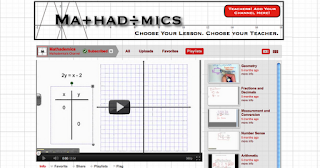 I plan to have my students embed these videos - or at minimum link them - on our class page for their classmates to view and leave comments. 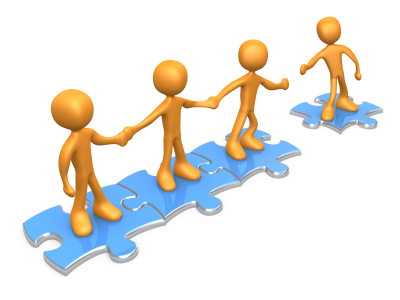 One of my professional goals this year has been to increase student self-efficacy in the classroom; I want to see each child take more ownership of his or her learning journey. I think this is a great way to make more transparent their own thinking - and the thinking of their colleagues. Once thinking becomes more transparent, they will be better equipped to understand how they think and how others may think differently - or similarly. Through this understanding I believe my students will be able to set more thoughtful goals from themselves as mathematicians. As a part of this effort, one of my student math groups has begun to brainstorm ideas for rubrics with which we can assess this activity. As we work together to develop this rubric, I will definitely post it here! Another question I am often asked is: What are the top apps to buy for [math, reading, writing, science, social science, etc...]? My response is always, no matter the content in question: Creation Apps. 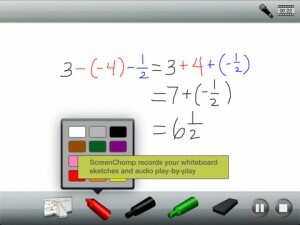 7/4/12 Update: Try Educreations - a great app that does much of what Screenchomp does, but with better features and versatility! 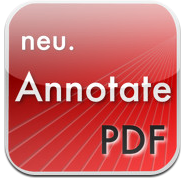 One of my new favorite apps is neu.Annotate PDF - also the best price around, FREE. 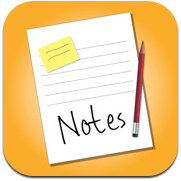 This handy app allows students to annotate PDFs with drawings, stamps and photos. It has a palm guard to recognize students' palms if they rest their hands on the glass and is incredibly easy to use. 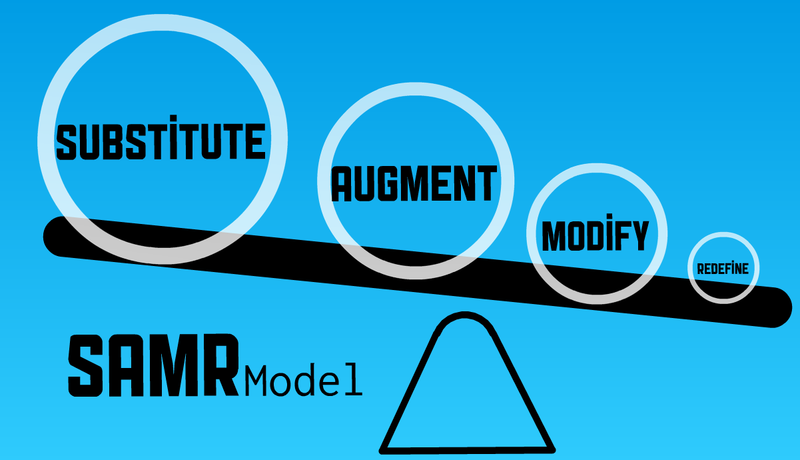 Imagine uploading a form, PDF version of your workbooks, PDF version of your worksheet, etc. and having your students use this application to complete it? Imagine all the paper you can save! 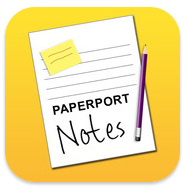 7/4/12 Update: Try PaperPortNotes - Also free, but more features than neu.Annotate PDF. And how about our good friend Keynote? 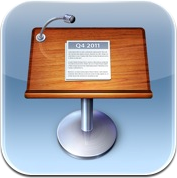 For those of you unfamiliar this is a the Apple version of Microsoft's mainstay PowerPoint. Not only can kids animate slides to show their thinking, they can share research, create persuasive writing presentations, and share results of a science lab. 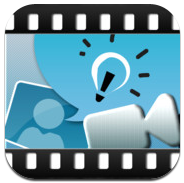 This app is especially interesting as you can add video to the slides. 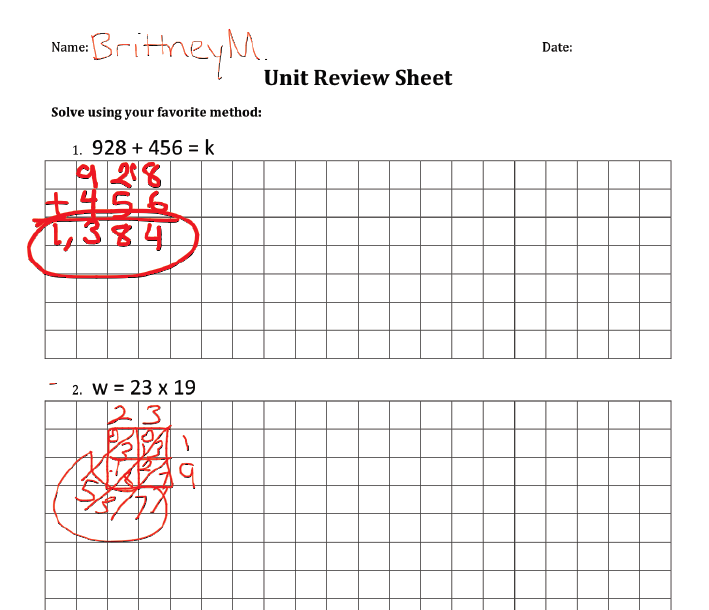 In the theme of revolutionizing, not just replacing old teaching/learning practices, students can now share a video of their results with classmates instead of just describing it on a sheet of notebook paper. Collaborative Whiteboard Apps are also fantastic ways to revolutionize student interaction in your classroom. This website features five free options for great collaborative whiteboards on your iPad and explains them far better than I could. I've been awestruck as I've witnessed my students collaborate on a shared writing space from across the classroom - or even between classroom walls when students were being pulled out for specialized services. Thank you, technology. 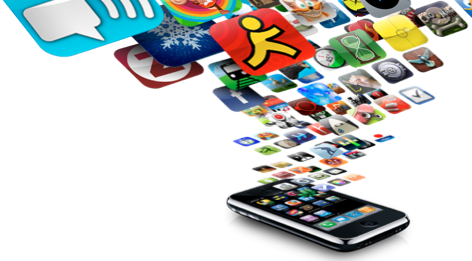 There are many more amazing creation apps out there. I will continue to explores these in future Whetting Your APPetite volumes, and welcome readers to share their favorites in the comments section. And let's not forget web-based programming. Who needs apps all? In an age where schools are floundering for funds to hire teachers and purchase curricula, we need every penny we can save. Edmodo and Schoology are two (competing) amazing websites (some previously mentioned in this blog), that can allow your students to create and collaborate. 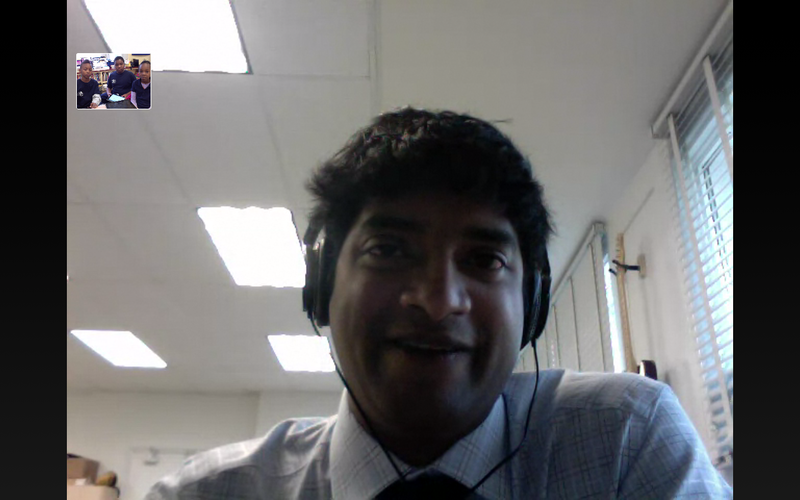 I have yet to determine which I prefer, but have heard strong positive feelings from colleagues about both.